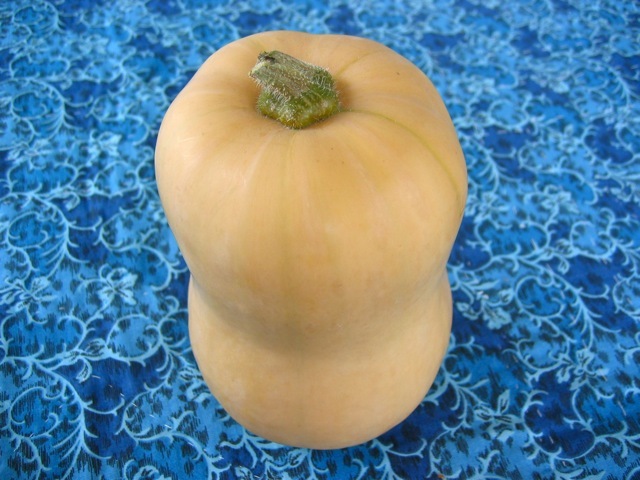 With the exception of spaghetti squash, which has a unique stringy consistency to its flesh (hence its name), most winter squash have soft flesh that can be used interchangeably in recipes. Some, such as sugar-pie pumpkins, kuri, and butternut, will have sweeter flesh and thus take better to pies, muffins, and other sweet preparations. 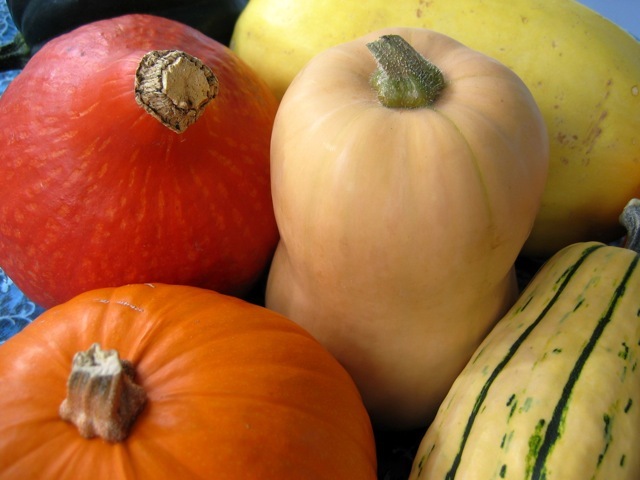 But all winter squash — unless they're old and bitter — have a nice balance of sweet and vegetal. Store winter squash in a cool, dark place, such as your basement or a low cupboard, for several weeks. If it's been a few months, you may want to bake a trial squash to test for bitterness. One last note: The squash recipes we've collected here from around Culinate are Western in origin, but check out Smitten Kitchen's post on squash quesadillas and CookThink's butternut squash tempura. #(clear n1). 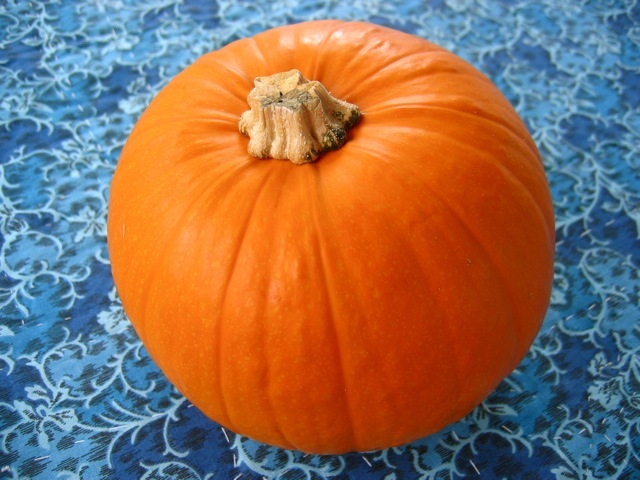 [%image pumpkin float='clear right' width=350 caption="Sugar-pie pumpkin"]Sugar pie. These, of course, are the winter squash we're most familiar with, thanks to dessert; it looks like a jack o' lantern pumpkin, it has big, tasty seeds, and its flesh is the main ingredient in pumpkin pie. #(clear n2). 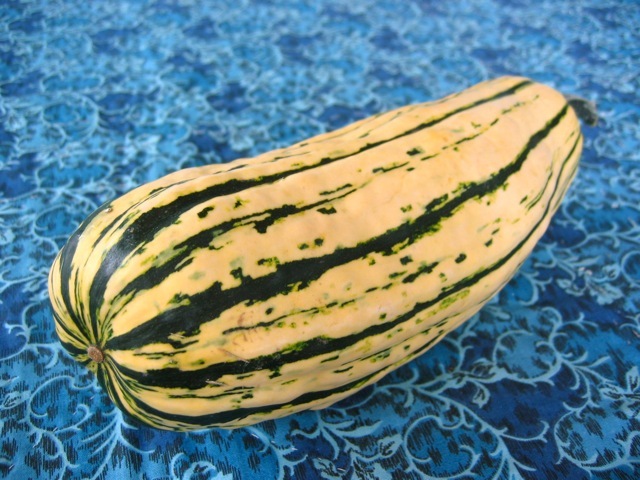 [%image delicata float='clear right' width=350 caption="Delicata squash"]Delicata. Living up to their name, these squash have thinner skins than most winter squash, and because they're smaller overall, they cook faster. Can't wait? Slice a delicata squash up for faster cooking; you can even eat the roasted skins. #(clear n3). [%image butternut float='clear right' width=350 caption="Butternut squash"]Butternut. After pumpkins, these squash may be the most beloved. They're richly flavored and cook up well for roasted dishes as well as soups. #(clear n4). 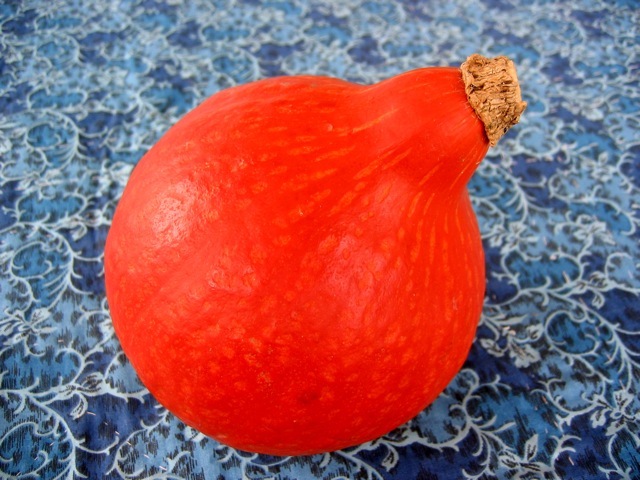 [%image kuri float='clear right' width=350 caption="Kuri squash"]Kuri. You may not have seen these brightly hued squash before, but they're essentially pumpkins with thinner skins. Use them in dessert recipes, just like sugar-pie pumpkins. #(clear n5). [%image acorn float='clear right' width=350 caption="Acorn squash"]Acorn. 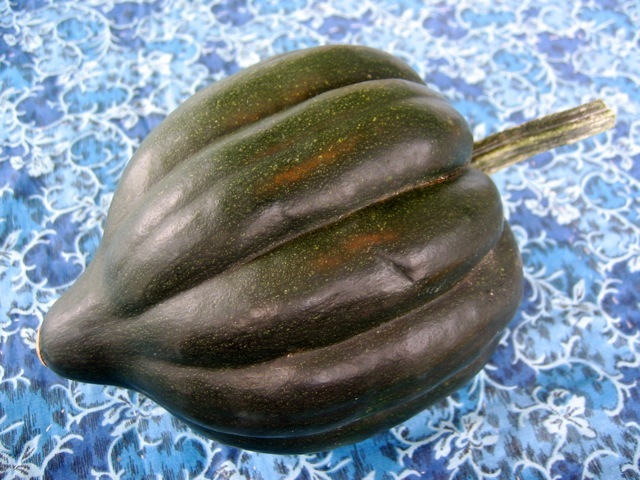 Sometimes you'll see acorn-shaped squash for sale with bright yellow streaks; these are usually labeled "carnival" or "festival" squash and are similar in taste to acorn squash. Because of their ribs, acorn squash can be tricky to cut. But the taste is worth it; use them wherever you'd use butternut squash. #(clear n6). 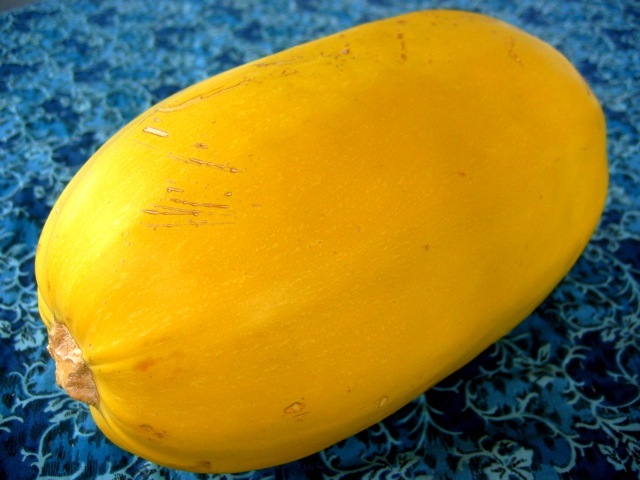 [%image spaghetti float='clear right' width=350 caption="Spaghetti squash"]Spaghetti. If you've ever cooked and then stripped the flesh from a spaghetti squash, you'll remember how strange it is: a seemingly solid hunk of yellow flesh fragmenting cleanly at the touch of a fork into long, spaghetti-like strands. And yes, once you've raked the soft, mildly chewy strands from a roasted spaghetti squash, they're delicious served with any thick, tomatoey pasta sauce. #(clear n7). 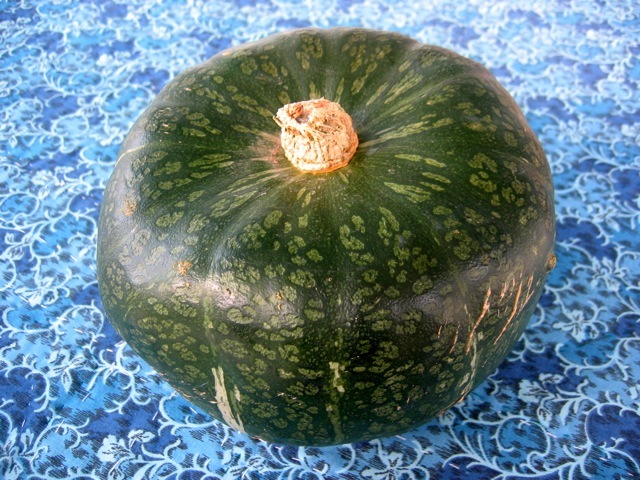 [%image kabocha float='clear right' width=350 caption="Kabocha squash"]Kabocha. Bigger and badder than most winter squash, kabocha can seem daunting on the kitchen counter. Once cooked, however, the deep orange flesh is similar in taste to acorn or butternut squash. #(clear n8). 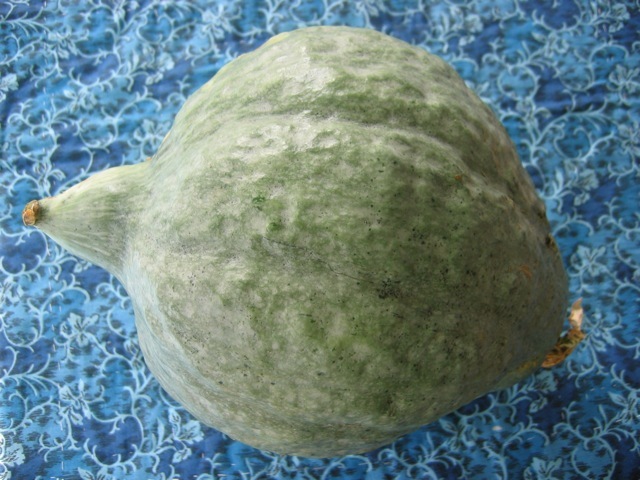 [%image hubbard float='clear right' width=350 caption="Hubbard squash"]Hubbard. These are big kahunas, easily outweighing most other edible squash at the market. And they're weird-looking, with their ghostly blue, wart-covered skins. But your patience will be rewarded if you wrestle one home, because the Hubbard is excellent when its flesh is roasted and then baked in a pie or sunk in soup.